Content marketing is my personal favorite kind of marketing. Why? It’s all about relationships. Relationships with your customers, your audience, and other influencers. It’s genuine. No slimy sales tactics, just caring and value! It works. Content marketing sees conversion rates nearly six times higher than traditional marketing. Here’s the thing about content marketing: you either commit or you don’t. There is no toe in the water. Dive in, or stay away. Why do I say this? Mostly because if you’re not willing to create top-quality content (and promote that content relentlessly), you’re only adding to the noise. No one likes noise. So, in this post, I’ll explain what goes into content marketing (in terms of time, effort, and money) and what kind of results you can expect (ROI) to help you decide if content marketing is right for you. Excited yet? Here we go! Pro Tip: Two tools that helped me become a much better writer are the Hemingway App and Grammarly. They show you when your writing is grammatically incorrect, too complex, or too passive. While hitting on all those points is no easy task, I urge you not to start content marketing unless you can commit to them. The most important of the four points is the clear, actionable takeaway: you should use your content to teach your customers. Does the headline make a promise? Does the article deliver on that promise? Will this content “WOW” the reader with value to the point that they’re amazed it’s free? 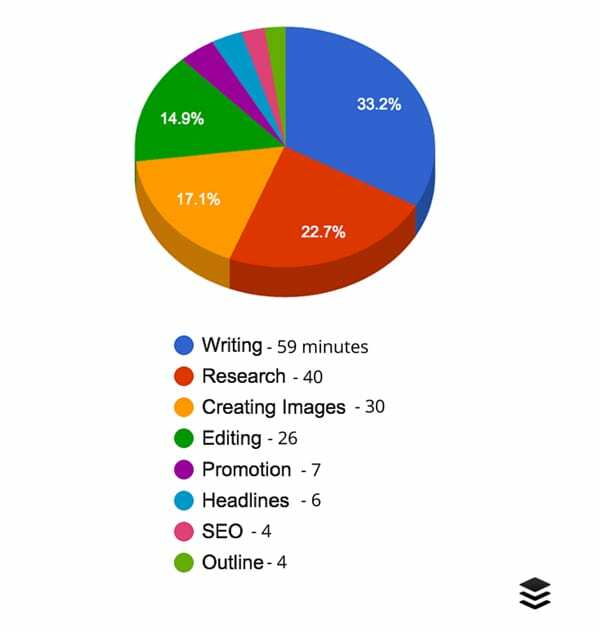 How much time does a content marketing strategy take? That depends on how many posts you write (or videos/podcasts you create), how long it takes you to create them, and how much time you spend promoting them. They say seven minutes on promotion – that’s just adding it to their social media schedule. You’ll have to do a lot more promotion if you’re just starting out. As a rule of thumb, you should spend at least an hour promoting for every hour spent creating – preferably more. Of course, you can write more posts (up to 2-3 per week) or less posts (once a month at a minimum), depending on the resources you have available. You can also reduce that time by hiring a freelance writer. How much does content marketing cost? For example, I’ve used content marketing to grow my own site from 0 to 60 visitors per day in just a few short months with a cost of $0 and some sweat equity. On the flip side, if you don’t have time to create content, you can hire a writer or content marketer to take over that job for you. While writers vary massively in experience, skillset, and cost, you’ll typically pay somewhere between $.05 to $.25 per word ($50 to $250 per 1000 words). Of course, there are other monetary aspects of marketing, including paid advertising like PPC (pay per click), display and native ads, and paid influencers. Personally, I don’t pay much attention to these methods – I like to focus on organic methods like SEO and networking. That said, you can spend as much or as little as you’d like on paid ads. I’d say $500 is a good starting point, then you can go up from there. Let me warn you: content marketing is a long-term strategy. Moz believes it can take up to six months to truly see results from your efforts – a time period they call the “gap of disappointment”. Will this vary for you? Yes. Do some people see results faster? Yes. Are you willing to commit to providing highly valuable content? Are you willing to stick it out for the long term? Do you have at least six hours to commit to creating and marketing content every week, or the money to hire someone to do it for you? Are you willing to make the world a better place for dogs everywhere? I’ve already beaten the ‘why’ into your head. Do yourself (and the world) a favor and stay away from adding more crappy content. Did you say yes to them all? Then your mission, should you choose to accept it, is to create a content marketing strategy and calendar. Once you’ve done that, start writing! 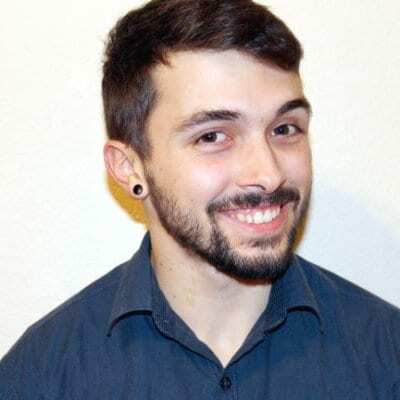 Bill Widmer is a content marketing expert with over four years experience working as a full-time freelancer. Bill helps businesses that are struggling to get the results they want from their blog and content marketing strategy. Find out more about Bill Widmer on his website.